We were back in Coed Gwilym Park in Clydach this week and twenty volunteers came out on a lovely warm spring day. 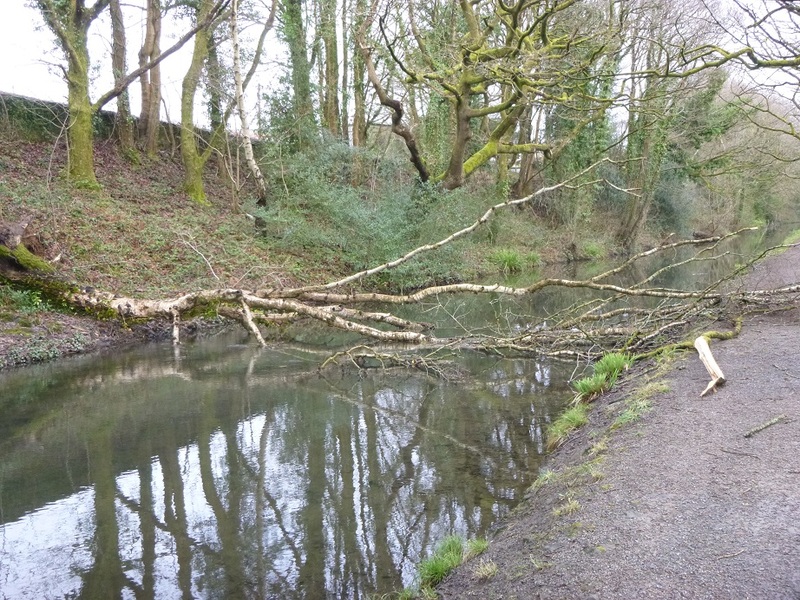 We had our work cut out for us this week as recent high winds had brought down a forty foot silver birch tree across the canal. 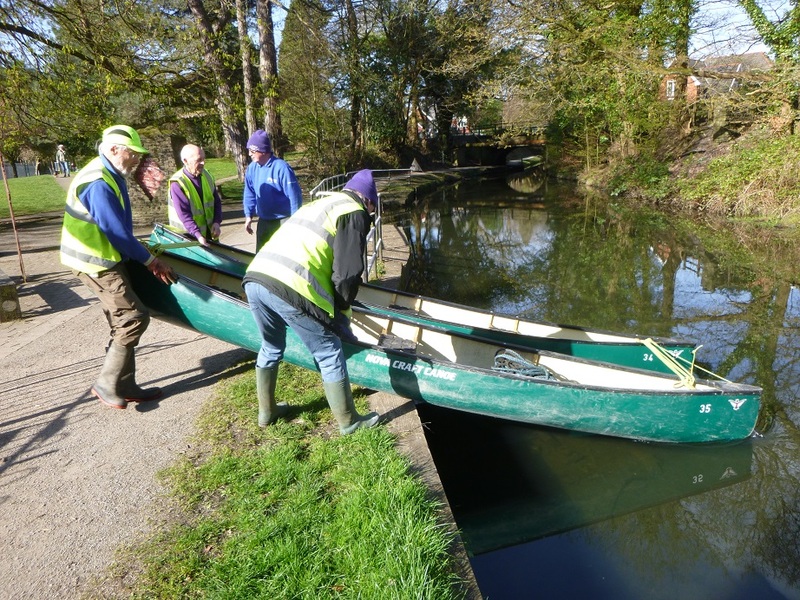 A team of volunteers lashed together two canoes to make a very stable raft to use as a work boat, “necessity is the mother of invention”. 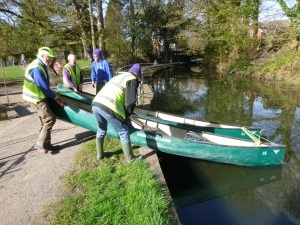 Alan and Gordon took the raft up to the stricken tree with Gordon taking on the role of pantomime horse. Gordon and his chainsaw soon reduced the tree to manageable pieces. 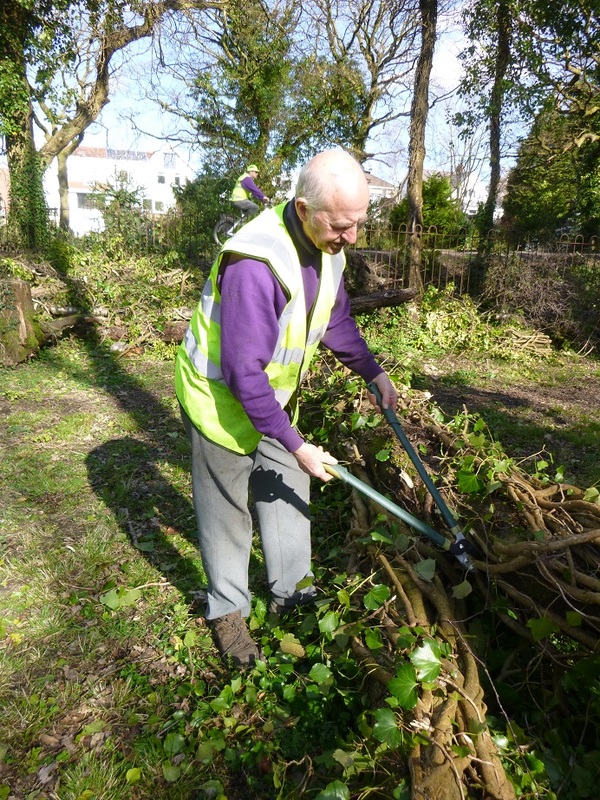 Volunteers Alan, Gill and Paul were on hand to assist and carefully stack the branches. The only reminder of the fallen tree was the stump on the off bank. 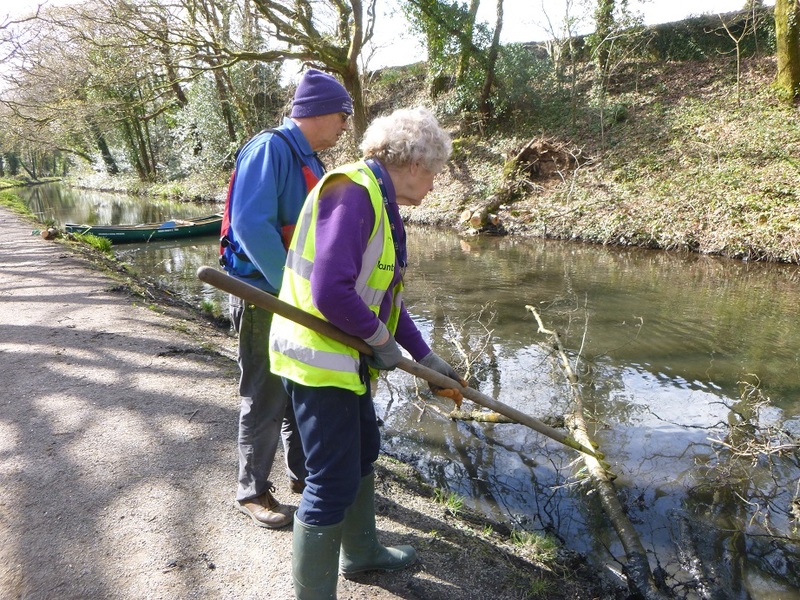 This will now serve as a perfect perch for passing birds, and with a bit of luck the local kingfisher will be spotted here soon. 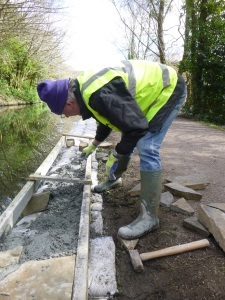 Down at the canoe-store the ‘three amigos’ were busy preparing ‘sand-cement’ for the repairs to the canal bank. Alan was kept busy laying the foundations and adding the coping stones. Eighty bags were carefully placed and the footings progressed by twenty metres. 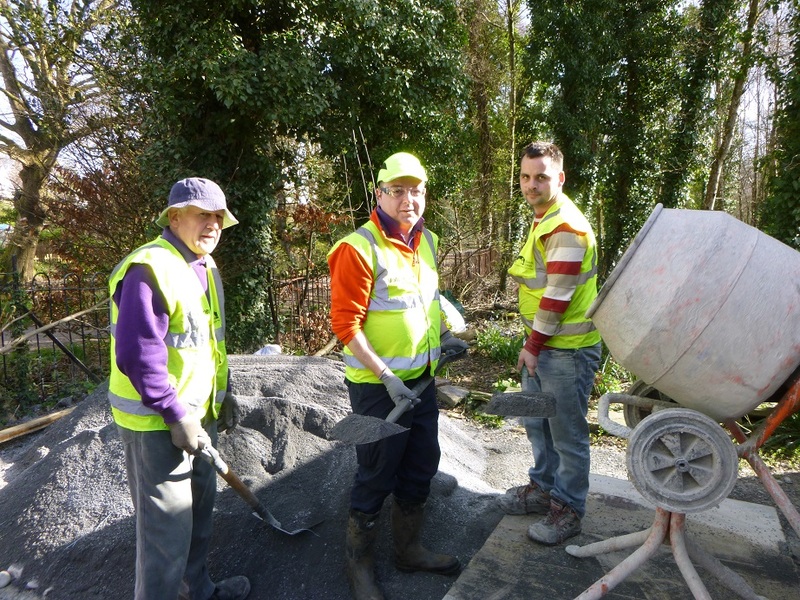 Tremendous effort by Alan and the three lads. 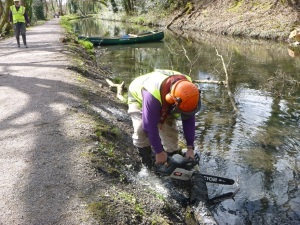 Volunteer David was busy sorting out a fallen tree in the Canal Society’s Nature Reserve. 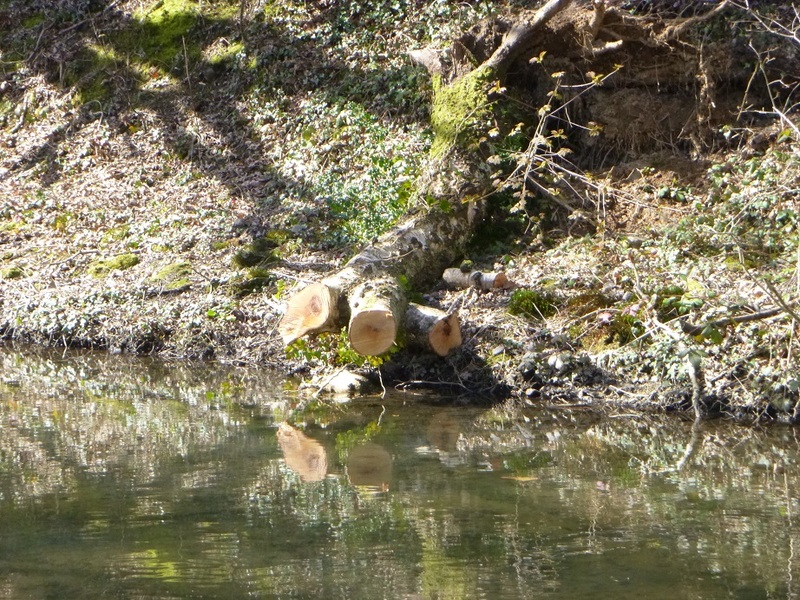 This will soon become a natural habitant for a whole host of insects and invertebrates. Thanks David. 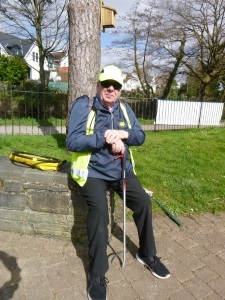 Volunteer John was busy resting after some enthusiastic litter picking. Every Tuesday John walks two miles down the canal towpath from Pontardawe to Clydach picking up any litter that he finds on the way. His effort and regular maintenance have made such a difference to this most attractive part of the canal. 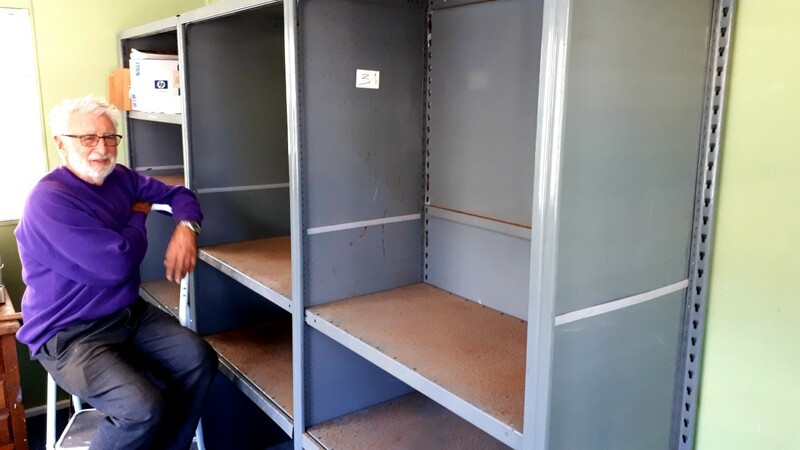 Volunteers Martin and John were busy erecting shelving in the site office at Lock No.7. 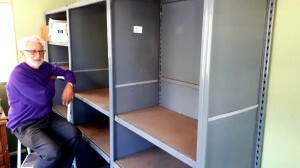 The shelving was a donation to the Society and was gratefully received. 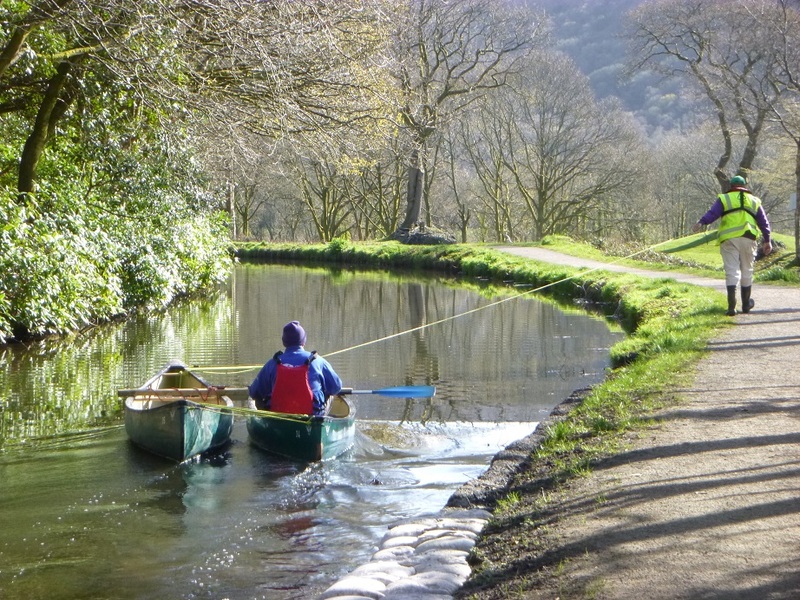 Like so many charitable societies, the Swansea Canal Society depends on volunteers and the many and varied skills that they bring along. 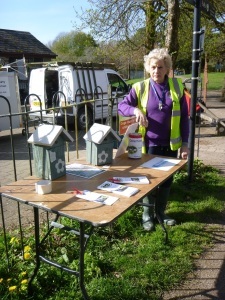 Gill set up shop on the tow path and engaged with interested passers-by. Membership forms were handed out and several people enquired as to how they could help the society. It was a most enjoyable day.